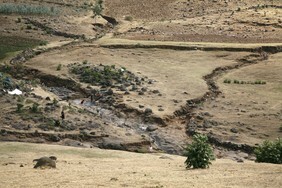 Horn of Africa: The Rains will fail in 2015, 2016, or 2017, but must we also fail? The current drought in the Horn of Africa, the worst in the past 60 years, has governments in the region and the international donor community scrambling to raise additional funds for emergency relief and provide desperately required food, medical care and shelter to the affected populations in Somalia, southern Ethiopia and northern Kenya to address their dire immediate needs. Drought in this part of the continent is not unknown and has been an increasingly frequent occurrence. Datelines change (2005, 2006, 2008 and now, 2011) but the stories of unimaginable hardship, death and depravation, while differing in magnitude from one drought to the next, remain much the same. Drought never only has localized consequences. Its effects cascade through countries in the form of higher food and fodder prices, civil unrest and diminished social services as governments redeploy budgets to meet the most pressing needs of their citizens. These effects multiply the impact of the drought, dragging millions of families who had improved their living conditions back into poverty and deepening the hole of those fighting to climb out of poverty. Although governments and their development partners cannot make the rains come, they can mitigate the impact of these recurring droughts in East Africa by helping farmers and herders build resilience to these inevitable meteorological occurrences. This is a cornerstone of the work the International Fund for Agricultural Development (IFAD) in the region. Much greater investment in agricultural research, an area long neglected by both governments and donors, is essential to develop and diffuse drought and disease-resistant food and fodder crops which are better able to withstand moisture stress. There needs to be greater government and donor support for integrated soil fertility management, erosion control, agro-forestry, and reforestation, which are fundamental to preserving the natural resources — the principal capital asset of smallholder farmers and herders. Minimizing post-harvest food and fodder losses through better on-farm storage facilities, improving farmer and herder access to credit to purchase agricultural and veterinary inputs, supporting transparent and accessible markets, and strengthening farmer and herders’ organizations are all critical to building the resilience to mitigate the effects of drought. News coverage of the unfolding events in East Africa brings stark images of desperation, disease and death into the living rooms, boardrooms and government offices in developed countries, eliciting sympathy, and hopefully the necessary financial support to address this growing emergency. But building resilience of farming and herding communities in East Africa requires a long term, sustained commitment on the part of the region’s governments and the international donor community. When the next drought comes in 2015, 2016, or 2017, will there be fewer refugees, walking fewer miles to get the help they desperately need? Will there be more water points, and greater availability of livestock feed and supplements? Will the granaries be full enough to tide over many who are now hungry? The answers to these questions depend largely on the continued commitment of the international community. The rains will fail. But let us not fail, too.